The way I felt at the end of last weekend’s endless fun-fest prompted me to add another entry to my Book of Me: Downtime is Not Optional. Don’t get me wrong, I love having fun as much as the next person. As it turns out, I need some unscheduled hangout-and-do-nothing-time in order to recharge my batteries. I need some built-in recovery time or my body rebels and makes me sick. And you all know how I feel about that. Many folks are rolling their eyes right now, thinking well I’m just too busy, I’ve got commitments and/or kids and I just can’t afford any down time. My monsters say those things too. Really? 7-9 hours of sleep isn’t enough? You mean you need to do that EVERY night in order to feel truly rested? These days, who is really rested? Can’t you sleep when you’re dead? Gawd, you really are lazy. Other people don’t need to rest this much. Other people get up on Monday morning and never stop running – even on the weekend. They run their kids all over town and clean house and go to endless sporting events and birthday parties and the never even complain about it. Other people have kids and commitments and jobs and…. and they are fine. Damnit. How are you going to survive when your kid arrives? I’ve heard kids rob you of all your sleep and you are a constant sleep-deprived zombie. Do you see how much my Monsters care about me? The good news is that my Book of Me, isn’t a book for my monsters. Just some reminders about what works for ME. To quote Havi – That’s why it’s the Book of You and not the Book of Humanity In General That Is Also Known As The Book of All Things For All People At All Time. So in order to honor my research and study of me, I am scheduling a much-needed day of quiet for tomorrow. PAJAMA DAY to the rescue! Are your monsters responding to my Pajama Day idea? Are they yelling about how lazy that makes me? Want to join me? All you need to do is STOP for one day and stay in. I’d love some company. I’ll be hanging out on Twitter and Facebook and hulu and Netflix. What are some things I would find in your book of YOU? What kind of self-care do you do to stay sane? This entry was posted in Self-Care and tagged Book of Me, Book of You, Havi Brooks, pajama day, rest by Teacher Goes Back to School. Bookmark the permalink. Love it. Happy Pyjama Day! I’ll be sure and schedule one right now. @madeleine – pajama day rocks! you are going to love it. Sounds awesome. Enjoy it and do it more often! Luckily your summer vacation is right around the corner, and you will be able to have even more downtime. 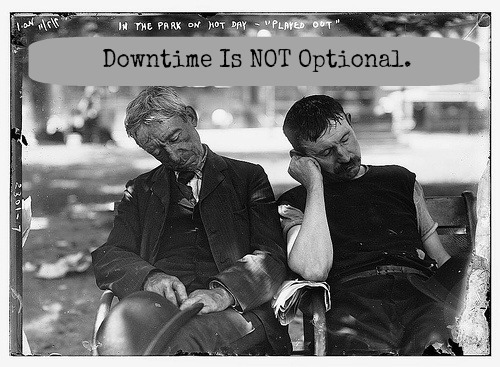 For me, downtime is really important for my mental state of mind (for me, more important than physically, I think). I try to keep my weekends as event-free as possible so I can get some of my necessary things done and have some time to relax. @jenna – i’m trying not to count days until the end of the year. good thing someone at work is keeping track in the staff room! thanks for the kudos on the self-care and kiddo anxiety.